Our beloved superhero Ben 10 has to run for the Alps riding his new snowmobile. Help Ben 10 to reach the end of the mounted snowmobile screen without crashing or falling otherwise begin again the level. 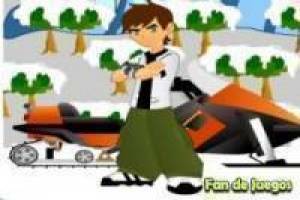 Enjoy the game Ben 10: Races on snowmobiles, it's free, it's one of our ben 10 games we've selected.